In this video from ISC 2018, Thierry Pellegrino from Dell EMC describes how the company is moving forward with HPC and AI solutions for customers in science, engineering, and the Enterprise. insideHPC: Thanks for having me here Thierry. Why don’t we start at the beginning? What were you guys showcasing this week at ISC? Thierry Pellegrino: A lot of the HPC workload is starting to get more and more into enterprises. And, as you and I know, HPC is really a very difficult technology to go implement if you have not done it for a while, and those enterprises really need help. So we help them deploy. We help them also service and support with really relevant service personnel around HPC. And all this has been very well received, at least as far as I can tell. insideHPC: Okay. Well, Thierry, one of the takeaways I got from this conference is this convergence of HPC and AI. Seems like everyone’s talking about it. Have you seen that at well? Thierry Pellegrino: It’s everywhere. HPC is great practice. AI is the buzzword. But the two need to come together. 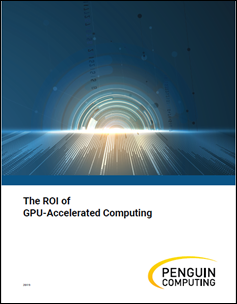 You can’t really get value out of your data if you don’t know how to use the highest performing computing cycles. You also need to think about how you use the data in storage and how you make it move around with a lot of networking gear. Low latency is still very important, so all this is coming together. And we see a lot of analysts. We see a lot of customers ask us for advice. What do we see? Based on the work that we do in our labs, we have partnerships with universities and research environments, but we also have our own clusters in our lab. And every day, we have multiple engineers playing with technology, finding ways to get some advancement and solve problems.